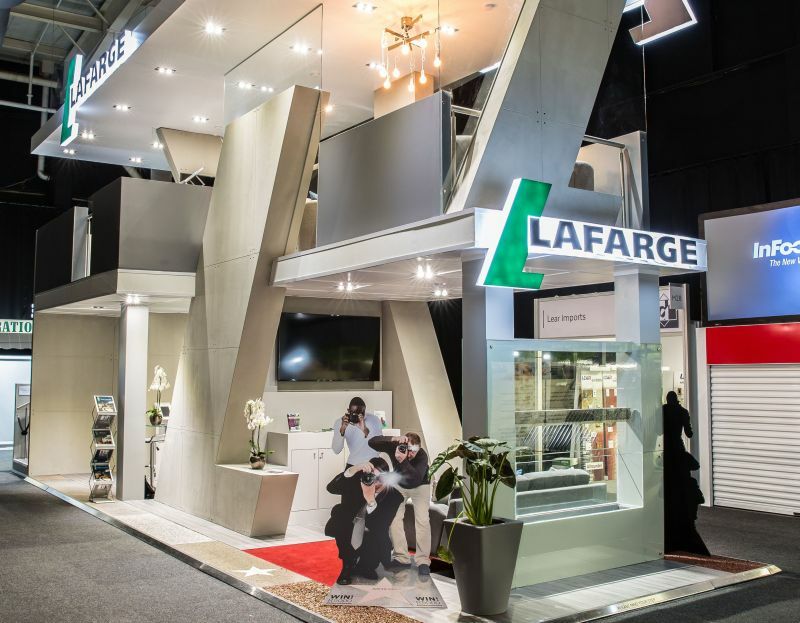 Showcasing a range of innovative concrete products, Lafarge South Africa’s double-storey stand at Decorex Joburg 2017, designed by Designers Ink, had visitors intrigued and deservedly won the best overall stand award at the show. Over five days, thousands of homeowners, architects and designers had the opportunity to see first-hand the ability of Lafarge Hydromedia™ permeable concrete to drain 4 000 litres of water in just ten minutes, as well as the range of colours, textures and patterns achievable with beautiful Artevia™ decorative concretes. Artevia™ offers unique solutions for indoor and outdoor architectural and aesthetic requirements. The range includes Artevia™ Colour, produced with an integral ultraviolet (UV)-stable colour pigment; Artevia™ Exposed, which has the colour and texture aggregates exposed during the finishing process; Artevia™ Polish, ground and polished to a beautiful smooth, marble-like finish that is slip-resistant; and Artevia™ Stone, which produces simulated masonry effects. Hydromedia™, a technological innovation in permeable concrete, provides rapid stormwater removal from horizontal surfaces. It is an ideal solution for drier, safer walkways, parking areas and driveways, and comes in a range of colours. Adding to the drawcard of Lafarge’s impressive stand, visitors also stood the chance of winning a prize in the #Artevia.Shoefie competition. Lafarge’s award-winning stand showcased their innovative concrete flooring solutions, Artevia™ and Hydromedia™.